Yet another 1st September has come and gone, and you still haven’t found Platform 9 ¾ . We feel your pain. And we identify with it fiercely. Although we can’t make it to Hogwarts this year, we can immerse ourselves in the comfort of our Hogwarts Houses. How about some book recommendations based on the qualities of your House? You can while away some time reading, as you wait for next September. Every Potterhead knows their House affiliation (and makes snap judgements about other fans based on their House. Don’t pretend, we all do it. It’s okay.) Still, need to find out which House is yours? Head on over to Pottermore to take the quiz (you will need to create a free account using your email). Then come back here, for some reading recommendations geared especially towards you. An adventure based on pure wits and daring. It’s also heavy on the technical details, but that’s okay. Try telling Hermione that Gryffindors are all brawn and no brains. A strong, royal adventure full of magic and chivalry. Also, there’s a lion, which is always a consideration for Gryffindor. The delicate strategies, the politics, the sly wit, and the world-building are all right up a Ravenclaw’s alley. And personally, I’m positive Olenna Tyrell belongs to your House. 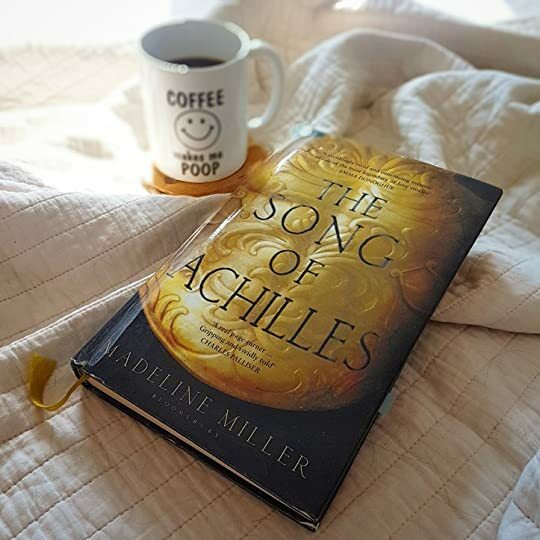 A mesmerizing, emotional re-telling of a classical story, packed full of references to Greek mythology. Beautiful, manipulative, and deadly characters trapped in a lethal political web makes a perfect read for those full of cunning ambition. Six dangerously intelligent outcasts carrying out an impossible heist. The group is led by Kaz Brekker, the most devious criminal mind in the fictional town of Ketterdam (definitely a Slytherin). Secretly, Hufflepuffs know they could befriend and train any fearsome creature. A paranormal detective, as seen through the eyes of his adventurous assistant. Odd, loyal, and lovable characters are all a Hufflepuff needs.